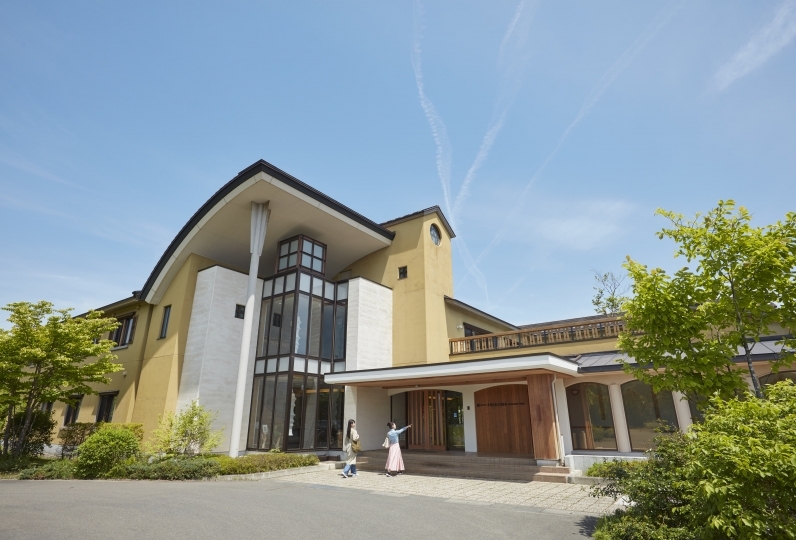 Yuukaen is located in the middle of Hanamaki-minami hot springs. Wrapped in the colors of each season and the warmth of the trees, time flows slowly. The building is filled with light from the Miyadaiku beams. The latticed, coffered ceiling and sliding screens are implemented with skillful work. 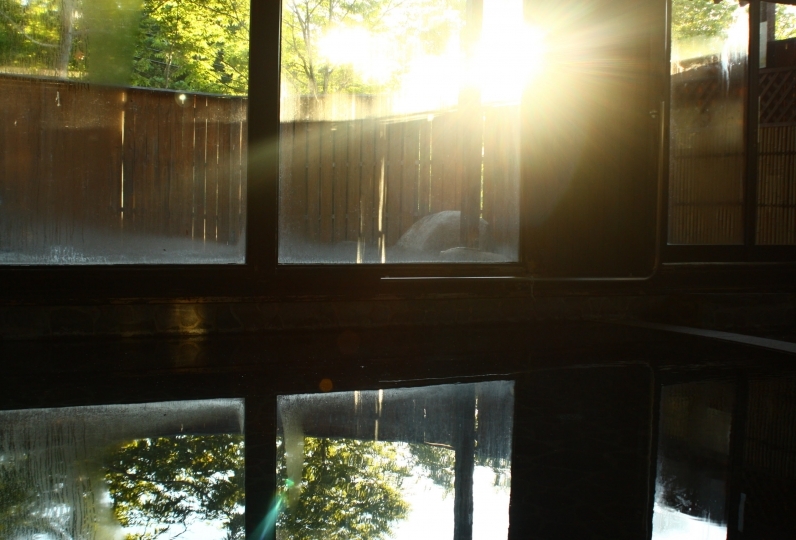 If one spends time in this room that cuts through perpetual time, one can probably heal the day's weariness with nature. One may use any of our four kind of luxuriously natural hot springs. Their water has a thickness to it, like being submerged in lotion. If one looks up, one may see the Hanamaki night sky also beloved by Kenji Miyazawa. 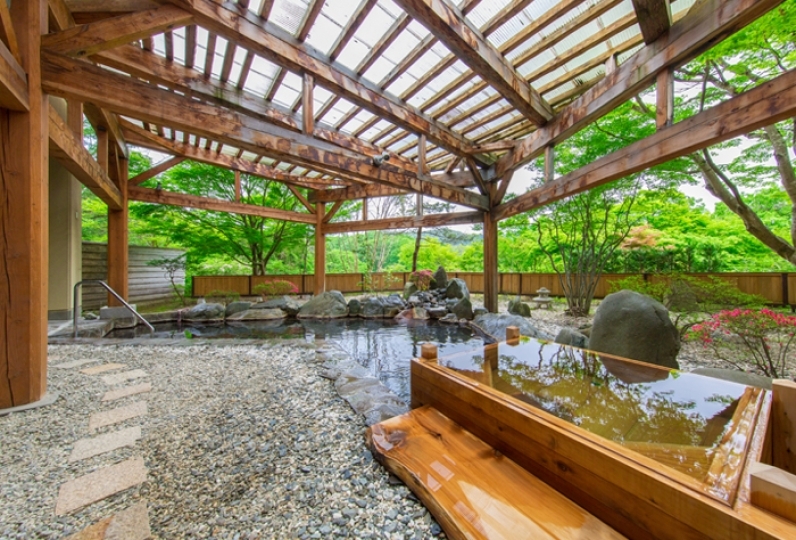 We hope you enjoy bathing with the whispering or Toyosawagawa River in the background. Meals use a heaping of seasonal, local Iwate ingredients. One may savor the highest grade products that contain the heart and soul of the chef. Please help yourself to seasonal vegetables and the fresh bounty of the sea. The summer greenery, autumnal leaves, powder snow: The spacious gardens that change their shape with each season are waiting for you. Be sure to come for a moment and, without thinking, take a deep breath of the crisp, clean air. 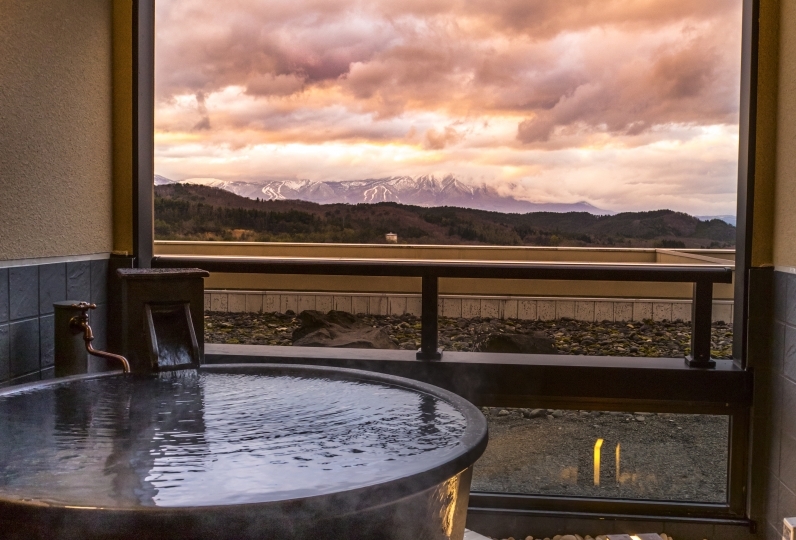 A day off that will heal your body and mind is here for you where you can live together with Mother Nature in the hot spring town of Hanamaki, Iwate. Thank you very much for such a wonderful time. 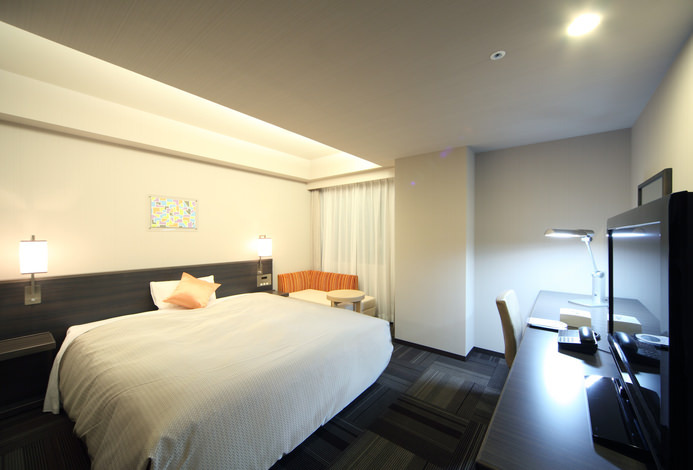 It is the first time that I stayed at such a wonderful inn. I have a memory that I entered the entrance when I was a child and went home without staying. I became an adult, I was very happy to stay at the inn I was longing for. The accommodation hotel feels good, the only thing is the fly in the ointment, the room is at the entrance of the passage, and the room sometimes hears the conversation outside. The room was awesome. It was somewhat halfway that mineral water was charged, that there was no plastic bag for laundry, and tea was self-service although it was roomy. 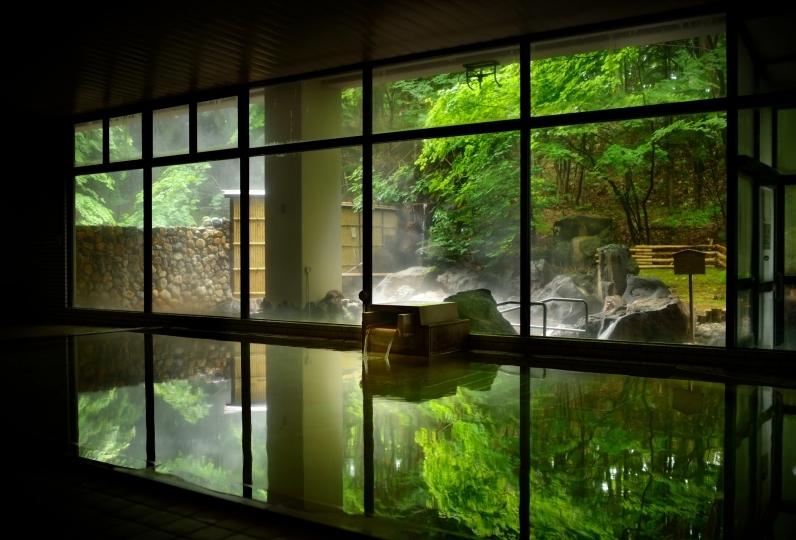 You can enjoy 4 kinds of source spring hot springs. We are proud of the trotted fountain quality exceeding ph of 9 like skin lotion. The biggest open air bath in the area. Please feel the refreshing feeling with a spacious open-air outdoor bath. A ceiling that is high enough to look up. A background picture spreading throughout the wall makes the journey deeper. Why not immerse yourself in a natural hot spring where the smell of sulfur fills the atmosphere of the bathhouse. It's as if you are enjoying a hot bath in a galaxy. The galaxy of Hanamaki loved by Miyazawa Kenji spreads there. Natural hot spring flows from the open-air bath and deepens a sense of unity with nature. In the morning and afternoon, the atmosphere similar to a garden terrace overflows. Because spring fountain is higher than Tayosawa Noguchi, you can also enjoy the half bath and foot bath. The background picture and the nature of the Toyokawa River give a peaceful dance. A place harmonized with the nature in Hanamaki. With several kinds of flowers and trees planted on these enormous grounds, one may enjoy the changing shape of these gardens with each passing season. 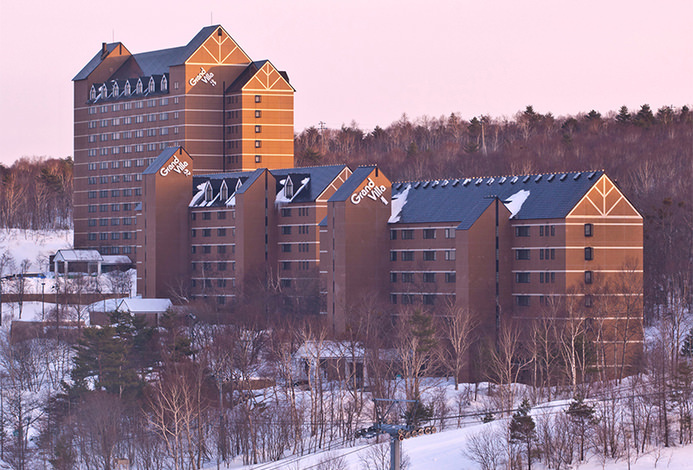 In the clean  pure air, we hope you feel the changing colors of the new greenery, autumnal leaves, and snowy landscape. A moment of drinking delicious coffee while you reflect on your memories of the trip. We hope you spend an idle moment here. 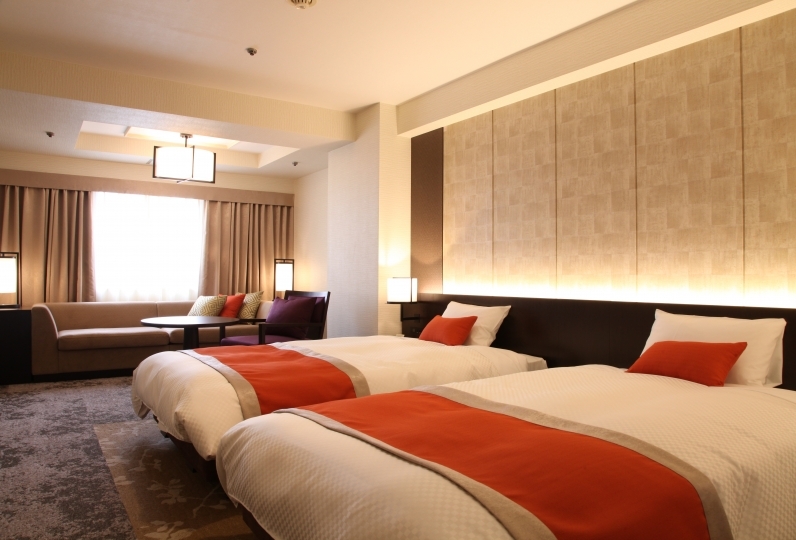 We have an abundant stock of special Hanamaki hot spring town products lined up. Please be sure to come have a look. 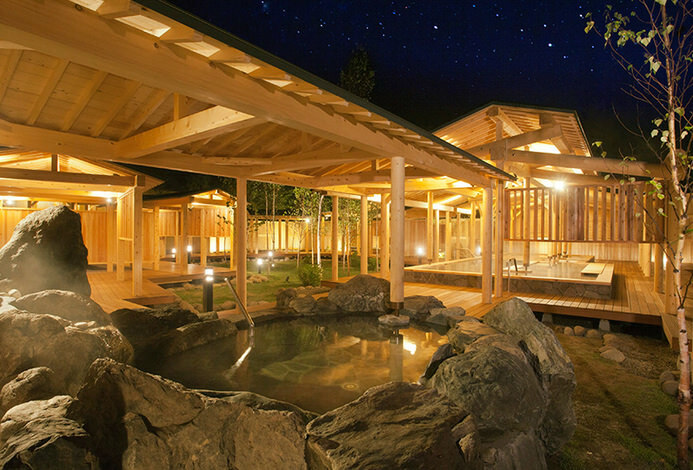 After relaxing in Yama no Kami hot springs, we hope you also seek some care to further heal the weariness of the days. Make sure to reward yourself. 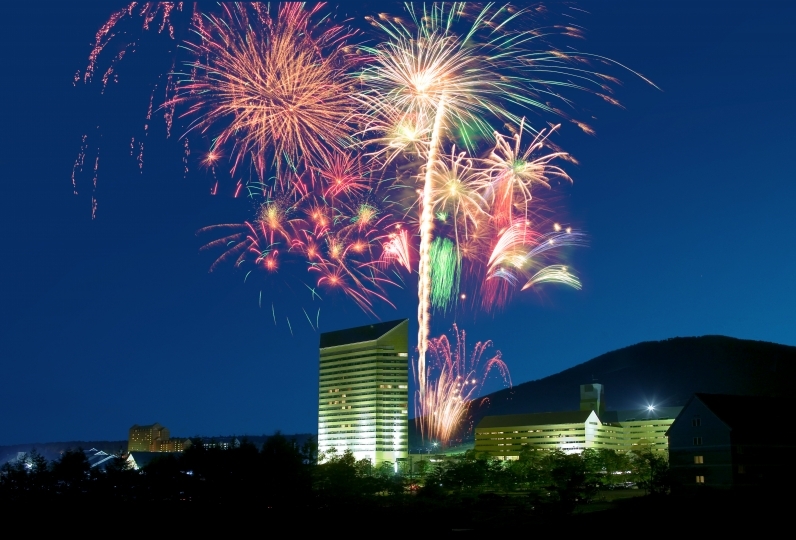 ￥5,000(tax excluded) for 120 minutes. This facility is also available for day use. ※Day use is limited to prior reservation; please inquire if interested. ・The final starting time for dinner will be at 6:30pm~. We can not accept in-room dining after 7:00pm. Thank you for your understanding.